Lately, Artificial Intelligence has seen a lot of advancement and many have even started believing that robots and machines could soon replace humans. As the fear of losing jobs to robots continues to exist, here is a ray of hope. Robotics has moved far beyond science fiction to reality and is paving way for more interesting and challenging jobs for you to grab. Robotics is just not about ‘building robots’, but is one of the most rapidly growing fields which has applications in varied industries. ‘Robotics’ includes all the research and engineering activities involved in the designing and development of robotic systems and automated machines, also the computer systems for their control, information processing, and sensory feedback. Currently, the demand to automate processes across industries, boost efficiency and minimize human risk is massive and so is the demand for brilliant minds who can create highly effective and low-cost robotic solutions. These are surely exciting times for those looking to study robotics and make a career in it. Robotic Engineers: Who Are They Are What Do They Do? Being a robotic engineer can be totally exciting. They are responsible to design robots, maintain and develop new applications for them, and conduct research to develop their potential. Why Choose The Robotics Field? Robotics is the new generation attraction in the field of science and technology offering wide opportunity in the future prospect. Here are few undoubted reasons for you to choose this field as your career path. Open Multiple Doors Of Opportunities – As an effectual robotic engineer, one has excellent hold on mathematical, logical, scientific, creative and computer skills. Innovation – Robotics is all about innovation, each day comes with new twist and turns leading to new innovations and possibilities. Challenging – Being a robotic engineer demands great knowledge, creative thinking, and problem-solving abilities. Continuous Learning – Alliance with the best mind in computing, mathematics and Physics enables you in continuous learning. There are tons of routes to a job in robotics, one could study computer science, electronics, biotechnology, manufacturing or cognitive science. A robotic engineer must have advanced science and math skills and needs undergraduate degrees in mathematics, engineering, or physical science. One can advance their career and earn a higher salary with a master’s degree in robotics engineering. Other useful subjects are, computing and programming, design and technology, and specific engineering disciplines like automotive, electronics, bioengineering, mechanical engineering, and mechatronics. To work as an independent robotics engineer a Licensure is usually required. Apart of having the standard education and skillset, there are other lucrative ways to be a strong candidate for this well-paid gig. One of the best way is to check out Online Courses. 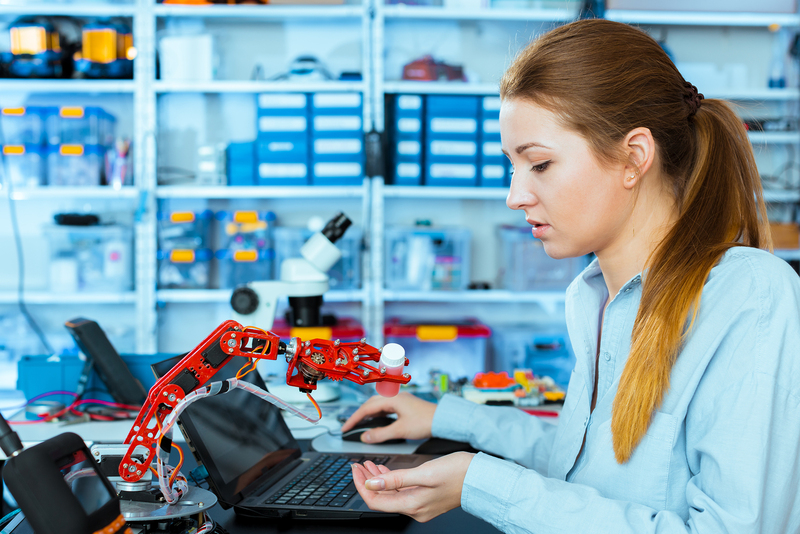 Like many other tech-based fields, there are several online courses for Robotics, allowing anyone to learn more about the field as a whole and gain more specialized knowledge. Coming to the salary and career outlook, they are quite promising for this field; According to PayScale, in 2016 The average salary of a robotics engineer was $82,000. The average yearly growth of the robotics industry is 9% and career opportunities for highly trained roboticists continue to rise. (source: A Roadmap for US Robotics, 2016). From designing robots to working on cutting-edge products which can be used in varied industries and study of the oceans to designing humanoid robots which can imitate basic human tasks; the potentials are indeed infinite. There many different ways to get started in the field of robotics. The key idea is to enhance your knowledge with hands-on experience and keep learning!